Posted by Kylie on Monday, August 23, 2010 in Early Decision. I am frequently asked by students whether or not they should apply Early Decision. Below are some basic questions to ask before making that decision. Are you kidding me?! All of the above! 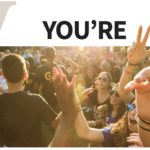 2) After investigation of the campus and undergraduate experience, Vanderbilt is…. 3) Which item best describes your understanding of your personal financial situation and how it relates to financing a Vanderbilt education? Money? Financing? Huh? My parents deal with that stuff. Similar to a life-in-prison sentence: how am I supposed to make such a commitment this early in the year? 1) 3 or 4: You really need to experience our community to know if you could form a bond. We offer many different ways to interact with us here, not just the standard information session and tour (although we definitely have tons of those). 2) 3 or 4: Only apply Early Decision if every other school pales in comparison. You never want to sign an Early Decision Agreement and then realize you want to go somewhere else. Most of our class (approximately two-thirds) comes through regular decision because it’s the best option for most of our students. Early decision is a great option, though, if we’re far and above you’re number one choice. 3) 4: Although you will have an estimated financial aid package with your Early Decision acceptance letter, you will not receive an official package until April. Families need to have frank conversations about who is paying for college and how much they’re willing to spend. Get a financial aid estimate and review our financial aid commitments. If you’re comfortable with your financial situation after doing so, then Early Decision is a good option. 4) 4: Yes, there is a statistical advantage to Early Decision. 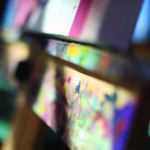 For Fall 2010 admission, the overall admit rate was 17.9 percent; the Early Decision admit rate was 32.5 percent. However, those numbers don’t reflect the true nature of the applicant pools. Early Decision students are highly qualified and highly enthusiastic applicants who receive consideration amongst a smaller pool of students; thus, the higher admit rate. Never apply Early Decision just because it appears “easier”. Also, not everyone is applying Early Decision somewhere. Most students in America aren’t, in fact, applying via a binding commitment. Finally, it is wonderful to finish the process by the holidays (if you’re fortunate enough to receive acceptance), but make sure there’s another reason you’re applying Early Decision as well. 5) 3 or 4: The Early Decision Agreement is slightly intimidating to most of my students and their families. It’s a big decision and the biggest decision to-date for most of you. Feeling stressed at times is normal. Make sure, though, when you finally do make that commitment that you are comfortable with that decision. If you never reach a point where you’re at ease, then don’t choose Early Decision. 3) D: Although you will have an estimated financial aid package with your Early Decision acceptance letter, you will not receive an official package until April. Families need to have frank conversations about who is paying for college and how much their willing to spend. Get a financial aid estimate and review our financial aid commitments. If you’re comfortable with your financial situation after doing so, then Early Decision is a good option. Thanks, Chris! I don’t have an editor so a keen eye is always appreciated. Pet Peeve: Answer choices are 1,2,3,4 not A,B,C,D. You’re right. I’m surprised no one caught that before, it apparently imported as a numbered list instead of a lettered list. Thanks for catching! This quiz is awesome! It really helped me solidify my decision. In viewing Early Decision vs. Regular Decision candidates, which pool of candidates do you see the most qualified candidates coming from? I understand Early Decision gives you a statistical advantage, but could it hurt you if Early Decision candidates are more qualified, is this thinking correct? First, great question! Many applicants ask me about this because every institution is different. The quality of the ED applicant pool does not help or hurt you any more than the RD pool. The advantage via ED evolves out of the fact that we are looking at each applicant in the context of a much smaller pool (a couple thousand versus 20k+). Additionally, the enthusiasm and fit of our ED applicants is often evident and helpful in the process. Check out Thom’s post after ED I last winter! I think I understood your question, but please let me know if I did not answer fully. Great questions about ED I vs. ED II! There is no difference between the two deadlines. The overall admit rate last year was 17.9 percent. The admit rate for Early Decision was 36 percent. We do not separate the admit rates between ED I and ED II. They are both an advantage because we are looking at individual candidates within a smaller pool, moreover these tend to be students who have great fit and enthusiasm for our undergraduate programs. To address Kim’s question, students give a range of reasons for applying ED II. Some students simply were not ready to make the binding commitment by the ED I date, but they are sure of their decision by ED II. 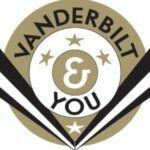 Other students apply Early Action or Early Decision elsewhere first and then decide to apply to Vanderbilt’s ED II if they were either not admitted to their first choice or admitted under non-binding terms and then decide Vanderbilt is truly their first choice. To address Chris’s question, we don’t necessarily spend more time on Early Decision applications, but we do read them earlier in the admissions cycle within a smaller pool. If you know at this point in the year that Early Decision is the best route for you, then Early Decision I is the plan you should apply under. Early Decision II can be used for those who decide Vanderbilt is the absolute top choice later in the year. The quiz, and discussion of responses is very well done! I have two sons( A&S ’12 & ’13) who attend Vandy at this time. Both did Early Decision, and obviously it was the right decision for them. My daughter is applying and would like to do early decision too. Having two brothers who attend, visiting often, and meeting other VU students, has given her a unique feel for Vandy. My daughter had considered other schools, but they all pale in comparison to Vandy. I was wondering if you could tell me if there is any difference between ED1 and ED2 besides the deadlines for submitting applications, and dates of notification. Does the statistical advantage apply to both ED1 and ED2 equally? Is the acceptance rate higher for ED1 than for ED2? What are some of the reasons that candidates choose one ED as opposed to the other? The responses to these questions will help us to decide which Early Decision plan to choose. Thanks in advance! Is it true that if you don’t get accepted early decision, you won’t be put back into the regular pool? That is correct. Early Decision applicants will receive either an Admit or a Deny; they will not be deferred or wait-listed. Is there a difference between financial packets for ED and RD? Should students with financial problems apply ED? Thanks for the question, YL. Your financial aid offer is not affected by which decision plan you choose. We recommend you use our Net Price Calculator to get an idea of the financial aid award you might be able to expect. If you’re comfortable with the estimate and the binding commitment of ED, then Early Decision may be right for you. 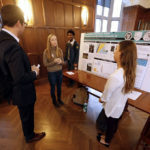 You should also check out http://www.vanderbilt.edu/financial-aid for more info. During a recent PreVU session, it was stated that no “one” piece of admissions criteria would eliminate an applicant from consideration. However, it appeared obvious that if an applicant doesn’t have all “A’s” on his/her high school transcript, with a possible explainable “B”, the applicant will not be accepted. It appears that GPA is still a filtering criteria for whether the application is fully considered. I would just like to have confirmation that this is the case, as my son fell in love with the school but his weakest part of the application is his GPA. Other sections of the application most likely place him in the top 25% range. As a parent, I want to help him have realistic expectations. 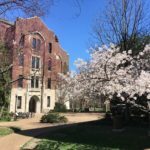 This may be an over-asked question, but can I apply early action to other schools (not single choice) while applying early decision to Vandy? Hi Emilee, thanks for the question. Under our ED process, you can apply early to other schools only if they are not binding. Be careful to check with each school to which you are applying, though, as their early action policies may forbid students from applying to a binding ED school.